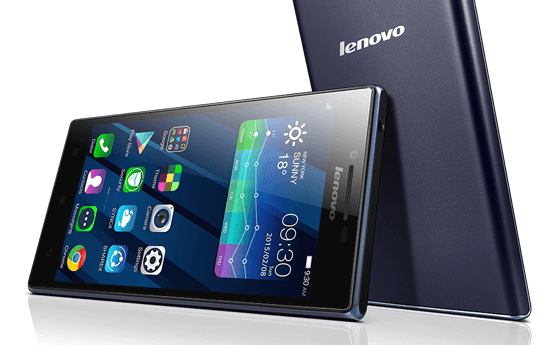 User guides and manuals for Lenovo mobile phones you can download here. Lenovo Group Limited - Chinese computer company. Joined in Singapore. Headquartered of Lenovo - located in Percheyze (NY, USA), and the main operational offices - Beijing (China) and Raleigh (United States, North Carolina). The main research centers of the company located in Yamato (Japan), Beijing, Shanghai and Shenzhen (China), as well as in the Raleigh (North Carolina, United States). In 2014 a team of more than 54 000 employees (including joint ventures) in more than 60 countries. The company serves clients in more than 160 countries around the world. The company was founded in 1984 by a group of Chinese scientists at the expense of the Chinese Academy of Sciences. The company originally was called the New Technology Developer Incorporated (two years later - Legend) and specialized in the supply of computer technology in China as well as on the development of encoding for hieroglyphs. In 2003 the company changed its name into Lenovo. In December 2004, it was widely concluded multi-year agreement between IBM and now Lenovo. In accordance with this agreement, Lenovo bought IBM Personal Systems Group - unit for the production of personal computers for $ 1.25 billion (the transaction was completed in May 2005). Under the deal, Lenovo may use the IBM brand until 2010 and after that date, the company's products are manufactured only under the Lenovo brand. In accordance with the signed alliance the two companies complement each other and can offer customers through its distribution channels of both companies products: such as IBM, and Lenovo. In the third quarter of the 2010/11 financial year, in the framework of an agreement Lenovo and NEC Establish Joint division of NEC Lenovo Japan Group. As a result of the transaction, evaluated at $ 175 million, the Lenovo gained 51% and 49% of NEC joint venture. In June 2011, Lenovo acquired the German company the Medion, occupying leading positions in the PC segment, multimedia devices, mobile communications service and consumer electronics in Western Europe. The acquisition will enable Lenovo to take third place at Europe's largest PC market in Germany and to double its share in the region and in Western Europe as a whole. During the period July-September 2012, Lenovo ranked first in the world to supply personal computers. January 23, 2014 it was announced that the deal between Lenovo Group and IBM's business buying x86-servers from IBM for $ 2.3 billion and the expansion of the alliance between the two companies. January 30, 2014 Lenovo signed a deal with Google Inc. for the purchase of Motorola Mobility unit for $ 2.9 billion. October 30, 2014, Lenovo made the acquisition of the brand Motorola Mobility. Henceforth, Motorola Mobility is a subsidiary of Lenovo. 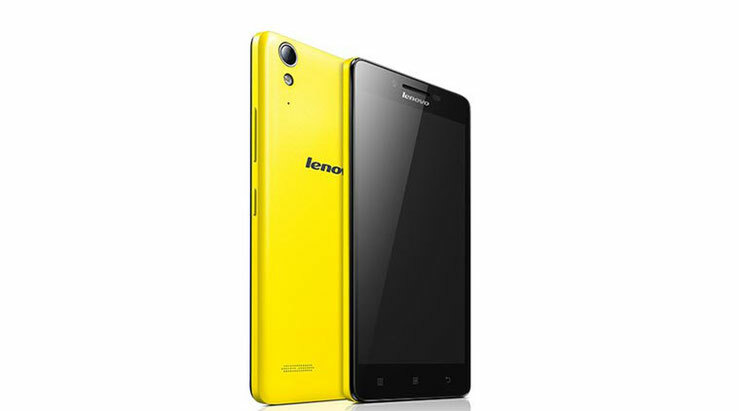 Lenovo smartphones are known as «LePhone» in his native China and «IdeaPhone» abroad. Lenovo provides an aggressive policy Samsung's removal from the place of the largest manufacturer of smartphones in China. For this the company has spent $ 793.5 million in Wuhan to build a plant that will produce 30-40 million units per year. Data from Analysys International show that sales of Lenovo smartphone in China in 2012 increased significantly. Lenovo's share to 14.2% increase in the third quarter of 2012, with an increase in sales volume of more than 4.8% compared with the same period in 2011. IDC Analysts said that Lenovo success is due to its "aggressive strategy and the strengthening of friendly relations." Analysys International analyst Wang Ying says that «Lenovo has a clear advantage over its competitors in terms of sales channels." The president of the company, Yang Yuantsin said: «Lenovo wants to be the second player ... we want to be the best. At Lenovo we have the confidence to circumvent the leaders Samsung and Apple's, at least in the Chinese market. " Yang Yuantsin claims that Lenovo's strategy for such devices focuses on the Chinese market and the emerging markets such as Russia, Indonesia, India, and the Middle East. Lenovo plans to significantly scale for the production of mobile products in these markets in 2013. The company has no plans to start sales of smartphones in Europe until 2014. Yang said that Lenovo monitors this policy because of its low profitability, until the pre-tax rate of 2.6%. He believes that "if you do not have sufficient production volume, it is difficult to make money if you do not have a fair share of the global market -. It is difficult to make money," says Jan Yuantsin. "That's why we go out on the market one after another. When we go to the market, we want to quickly gain market share with double-digit. " LePhone, as it is called Lenovo smartphone in China, sold at a relatively low price point and are mainly designed for the Chinese market. LePhone extract some benefit from the strong support of the Chinese mobile companies and content providers such as Baidu, Alibaba, and Tencent. Seeing the rapid growth of smartphones in the Chinese market, the Lenovo the start to make serious efforts to raise their status in the market of high technologies, in cooperation with Taiwanese chip designer MediaTek Inc. According to IHS iSuppli, the company Lenovo - the leader among the three largest producers of smartphones in China with a market share of 16.5% in the first quarter of 2012. According to a report in May 2012, published by IDC Lenovo divisions, the company ranked fourth in the global market of mobile devices. From November 2012 Lenovo was the second largest vendor of mobile phones in China, where sales volumes were calculated. Lenovo has planned to release its smart phones in Nigeria in the second half of 2013, to find markets where the device can be sold directly to consumers. The company specifically chose Nigeria because, unlike South Africa and other African countries, in this country there is no requirement of local mobile operators to become their partner for the sale of its products. Nigeria - the second largest economically developed country in Africa after South Africa. Lenovo will sell its smartphones in 6 price categories, in which the most expensive unit will cost about $ 500. Lenovo claims that explores the rest of Africa, and Egypt will be its next target.